M-Solv join other European technology leaders in a consortium to develop flexible organic light emitting diode (OLED) manufacture for use in lighting and signage applications. The project known as PI-SCALE started on 1st of January and will collect together technical expertise and provide a pilot line, allowing companies across Europe to efficiently incorporate OLEDs into marketable devices. 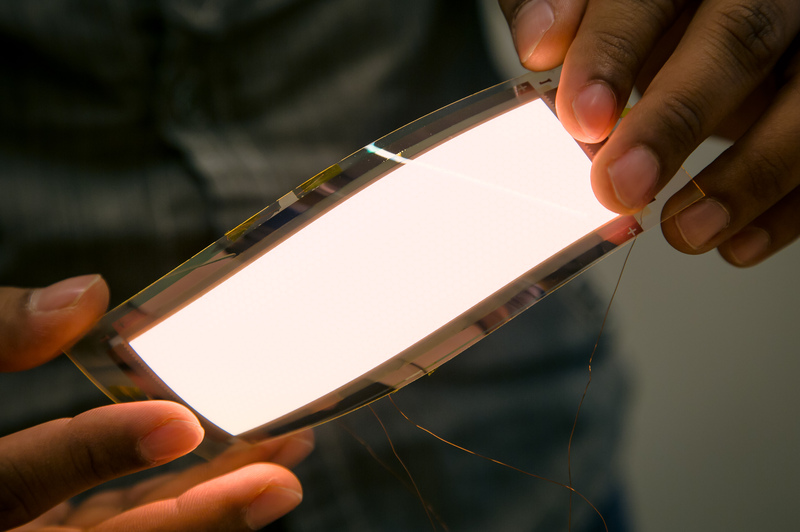 OLEDs already appear in numerous display applications such as television and mobile phone screens but emerging flexible OLED technology will allow a new wave of devices such as lighting integrated into architecture and automotive interiors. The project will allow companies to bring these new products to market without having to invest in the high-cost and time consuming process of scaling manufacture. M-Solv will be providing a roll-to-roll laser tool for thin film electrode patterning and device singulation by cutting polymer and ultra-thin glass substrates. M-Solv will be working closely with the other 13 partners who are: Audi AG (Germany), Centre for Process Innovation (CPI) (UK), VTT(Finland), Fraunhofer (Germany), Holst Centre (Netherlands), FlexEnable (UK), DuPont Teijin Films (UK), Brabant Development Agency (BOM) (Netherlands), REHAU (Germany), Emdedesign (Germany), NSG Pilkington (UK), Coatema Coating Machinery (Germany) and AMIRES (Czech Republic), to allow seamless transfer from conception to end users. The project is supported by the European Photonics Public Private Partnership who work to bring successful photonics research to commercialisation. It is also part of a European Commission investment to improve the competitiveness of European Industry.